When you have a thyroid disease medical and health spendings can quickly get expensive. That is why I am so excited to share these amazing deals with you! They will not only save you time and money but also provide you with thyroid resources that can help you get new insights about a better thyroid healing options available for you today and what else you can do beyond using thyroid medication. Here is a list of thyroid resources that you can get up to 92% off and some of them even FREE. The catch is that these thyroid resources are available for this price only for a short period of time during the Black Friday sale. If you see something that you like and need, don’t delay and get it today because otherwise you can miss the offer. It contains 45+ e-books and 21 discount codes offered at 92% off during Black Friday (this promotion is over). If you aren’t familiar with e-book bundles, they typically include a variety of e-books as well as discount codes, all for a huge discount and sold for a limited time only. Not all bundles are a good deal and I only support those few that provide a large variety of the best-quality resources for a truly amazing deal – and the Autoimmune Wellness Bundle definitely delivers! This is the very first bundle to focus on exclusively autoimmune protocol-friendly resources. And it contains all of them! Yes, every single AIP e-book ever created – including cookbooks, meal plans, and guides – are included in this bundle! Even better, this bundle is full of lifestyle guides to help you tackle all the other stuff too, like stress management, sleep, body image, and exercise. Need help troubleshooting the autoimmune protocol? Then you’ll love the collection of included e-books that takes you beyond the basics to help you hone in on root issues and regain your health. Dr. Sarah Ballantyne, autoimmune expert and author of The Paleo Approach has personally approved every single resource included in this bundle. The Autoimmune Wellness Bundle is quite simply the best AIP resource right now and it’s only available during the Black Friday sale (this promotion is over). Deal #2. 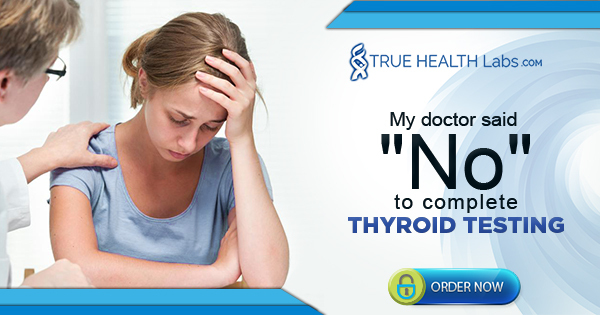 Your 10% off thyroid and autoimmune tests at True Health Labs. Now is the best time to order lab tests, even if you need to complete them after the holidays! The lab offers their most comprehensive thyroid test Complete Thyroid Panel that includes tests most doctors never consider. If you need an explanation of your test results from the Functional Medicine perspective you can add one-on-one review with a doctor from True Health Labs to your thyroid labs order for just $39. 50,000 people paid $70 for this device. Today you get it FREE (this promotion is over). This company will be giving you a water filter to try out FREE as part of a promotion for a limited time only. They are now clearing out their inventory, and also want more exposure for their new innovative filters that are some of the most effective water filters currently out in the market today. This promotion for a Free Clearly Filtered Water Pitcher is only available for the US and Canadian readers currently at this time, and may run out any day now. *If you are outside of the US and Canada this company ships their filters worldwide and you can get your filter here (this promotion is over). If you still wonder why you need to filter your drinking water consider this: We have a thyroid disease epidemic in North America right now when millions of people have hypothyroidism and don’t know why. P.S. Using the links above, you can get access to thyroid resources offered at up to 92% off! And the best part? So here’s what I recommend: Go ahead and do this right now while you’ve got this web page open and you’re still thinking about it… Simply choose what you’d like to order, and take the full advantage of this Black Friday special event. make Things Happen!